Your superautomatic was made with love in a factory by magic elves. Sometimes the magic wears off and internal or external parts need to be replaced. It is a machine after all. On the care and maintenance continuum it is less complicated than a classic car but more complicated than a toaster oven. Can you do-it-yourself? Perhaps, but itÃ¢â‚¬â„¢s nice to have a crack team of experts point you in the right direction. 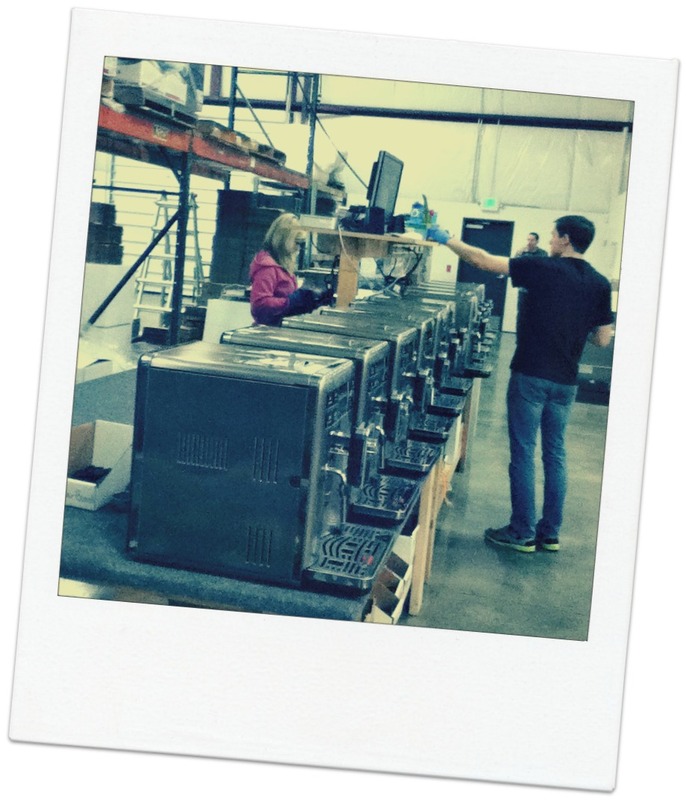 Seattle Coffee Gear has rows and rows of shiny espresso machine parts, instructional videos, online user manuals and something nobody else has: Miranda and Jeremiah. Here they share some of their espresso knowledge with you too. Miranda is adept at troubleshooting her customerÃ¢â‚¬â„¢s woes over the phone. She does a step-by-step process of elimination to find out what is or isnÃ¢â‚¬â„¢t happening inside the machine. I asked her when a superautomatic espresso machine doesnÃ¢â‚¬â„¢t work whatÃ¢â‚¬â„¢s the simplest advice sheÃ¢â‚¬â„¢s ever given. She said sometimes people accidentally turn off their superauto mid-brew. This really messes up the mechanical process and it gets Ã¢â‚¬Å“stuck.Ã¢â‚¬ Much like in the IT world, the solution is the now familiar refrain, Ã¢â‚¬Å“have you tried turning it on and off again?Ã¢â‚¬ With the return of power, the machine is able to cycle back into the start position. Start with filtered water, this will make the espresso taste better and can slow mineral build up inside the machine. If there is an internal filter in the water reservoir, change it at regular intervals. Each manufacturer has their own filter and their own guidelines. Do not use oily beans in a superautomatic espresso machine. Period. Jeremiah fixes all sorts of espresso machines and grinders that come to us. Today he showed me the insides of several superautos waiting for service. I saw mold in a variety of rainbow colors. There was black, blue, green, pink and a voluminous pile of bright orange mold inside someoneÃ¢â‚¬â„¢s dregs box. According to Jeremiah cleaning should be the first line of defense against more serious problems. Common complaints that are easily solved include: grinder clogs from oily beans, overdosing the bypass chute, clogged panarello wands and clogged brew screens. These are not repairs. These are situations easily remedied with hot water and a good scrub. Weekly Cleaning Ã¢â‚¬â€œ Take your time. If soap and water arenÃ¢â‚¬â„¢t cutting through the gunk then go for something a little stronger like espresso machine cleaning liquid or powder. Remove everything that can be removed. Use a small specialty cleaning brush to carefully get in every nook and cranny. DonÃ¢â‚¬â„¢t forget to remove the panarello if your superauto has one. If you donÃ¢â‚¬â„¢t clean the inside of the panarello and milk gets sucked into the boiler the espresso machine is ruined. Every Other Month Descaling Ã¢â‚¬â€œ This liquid or powder formulation is designed to remove hard water buildup. How hard your water is determines the frequency. The descaler gets added to the reservoir and cycles through with the water but what many people forget is to carefully wipe down the insides of the water tank to remove any residual chemicals prior to running the final clean water flush. Annual Tune-Up Ã¢â‚¬â€œ This involves all of the above plus taking the brew unit apart and replacing O-rings and using food grade lubricant on the friction areas where parts move against each other. While the superautomatic espresso machine models we use in our video tutorials may be different than yours at home, you can get the general idea to gauge your DIY comfort level. You can get away with a quick weekly rinse of the brew group; however plan on 30 minutes to an hour for a deeper kind of clean. You will be rewarded with better tasting coffee and a magic bean machine with a longer lifespan. 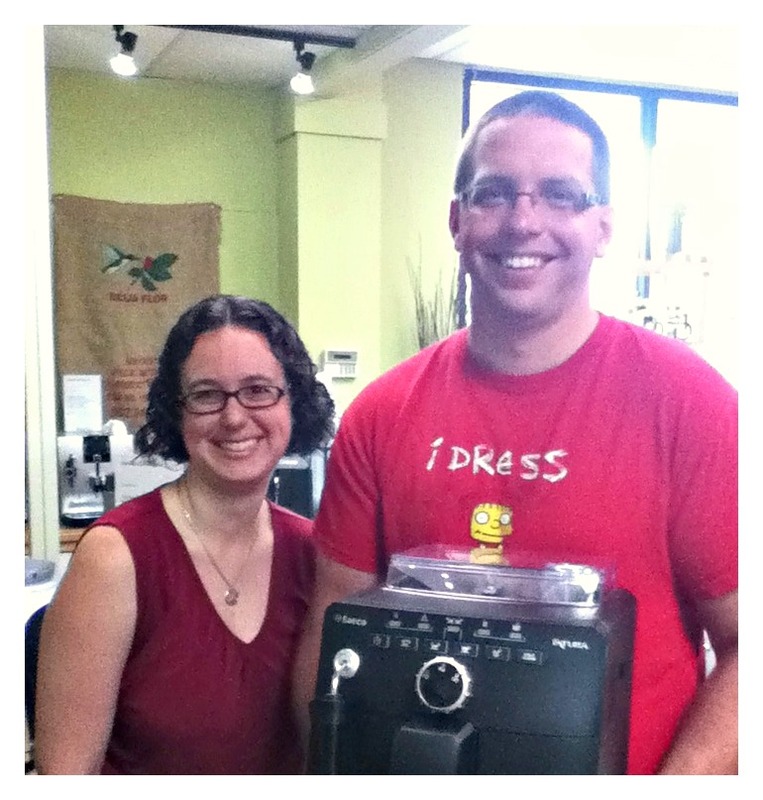 Thanks to Miranda and Jeremiah, we can all live happily ever after with great tasting espresso. Samantha Joyce is a writer for Seattle Coffee Gear and enjoys sharing her knowledge of all things coffee.